Busbars and fuse clips are nickel-plated copper for corrosion resistance and optimum conductivity. fasteners are made of stainless steel. [Indicator function]: When the red LED is lit, it means the fuse has been disconnected, you need to replace the fuse in time to continue running. [Fuse action]: When the circuit malfunctions or is abnormal, the current is continuously increased, and the increased current may damage some important devices or valuable devices in the circuit, and may also burn the circuit or even cause a fire. The fuse protects the electronic device from overcurrent and also prevents serious damage to the electronic device due to internal faults. 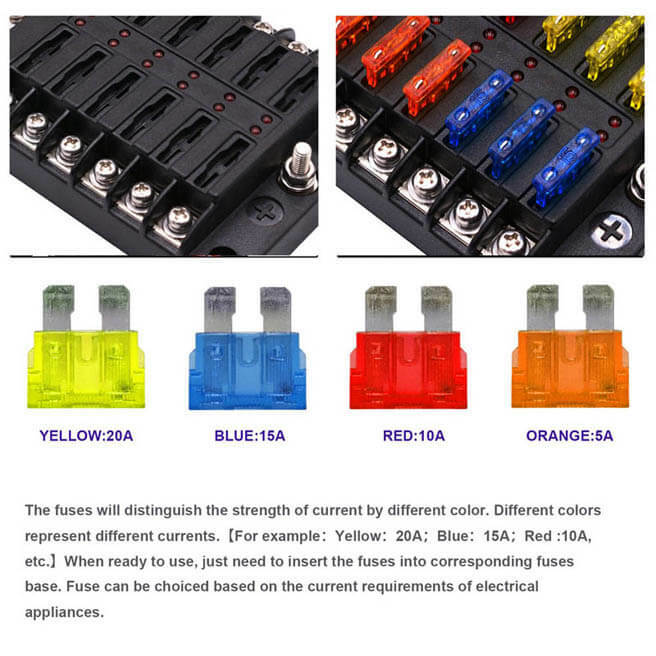 Therefore, each fuse has a rated specification, and the fuse will blow when the current exceeds the rated specification. 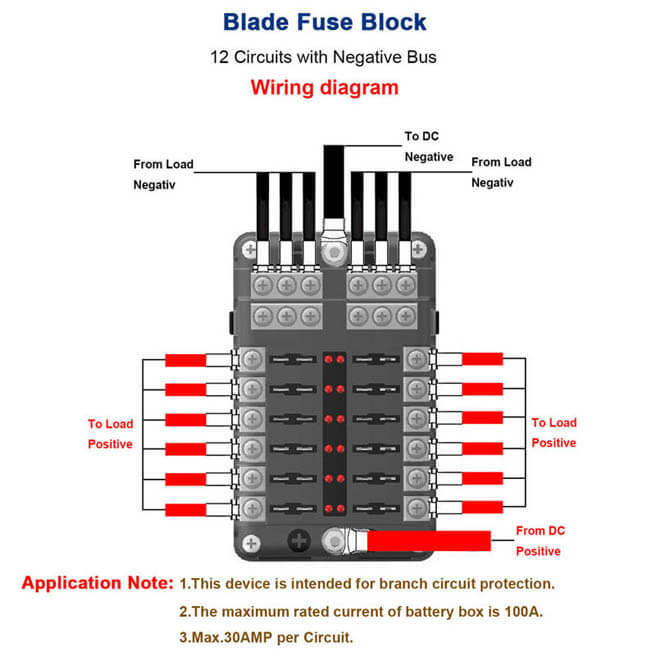 If the fuse is correctly placed in the circuit, the fuse will cut off the current when the current abnormally rises to a certain height and a certain temperature, thereby protecting the safe operation of the circuit. 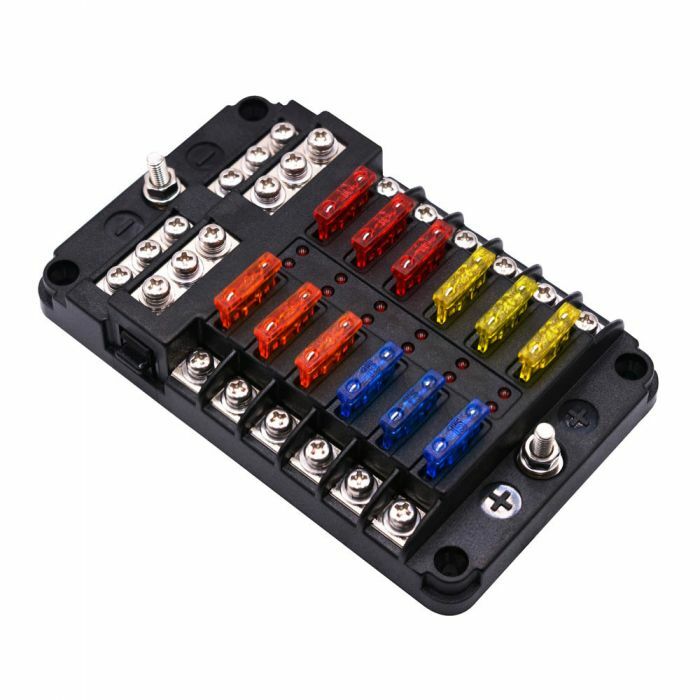 This fuse block is made of PBT which is flame-resistance, high-low temperature resistant and environmental protection materials, fully meets the requirements of "the fuse holder must have good mechanical strength, insulation, heat resistance and flame retardancy, and should not be broken during use. Conditions of deformation, combustion, short circuit, etc." 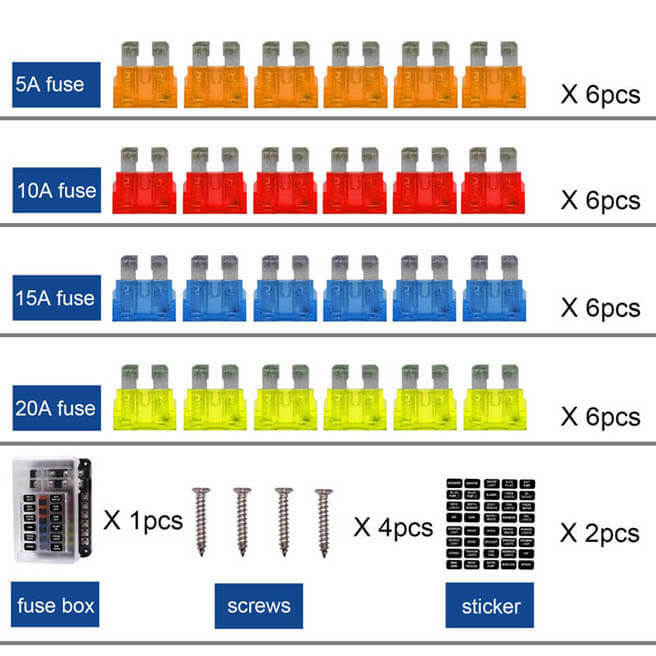 All fasteners are made of stainless steel, the output end is fixed by tightening screws, which can be installed more quickly, and the fuse box is fixed by self-tapping screws, which makes installation easier and safer. 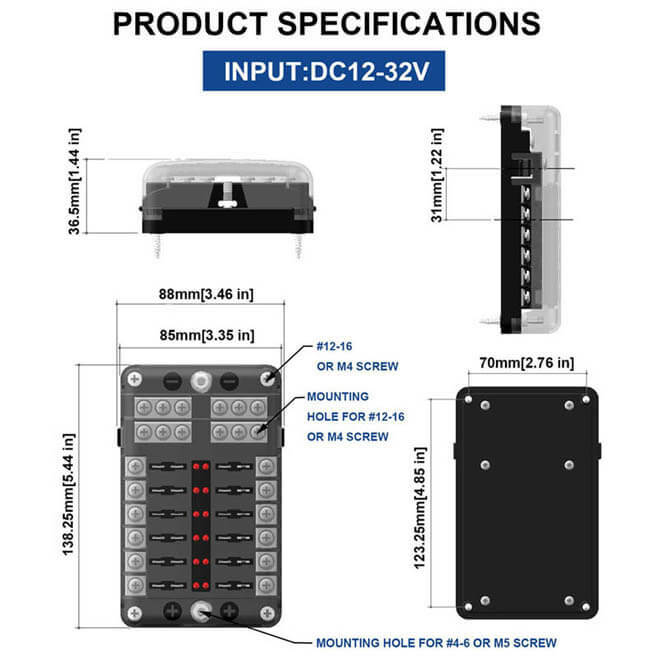 The product is delivered with double fuses. When the fuse is burned off, it can be replaced immediately from the spare fuse, additional fuses of multiple Amps is attached in the package for free, and the Amps of fuse can be selected according to the current appliance.